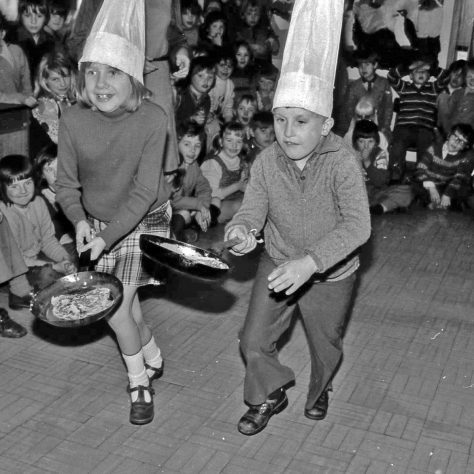 How do they keep those hats on? 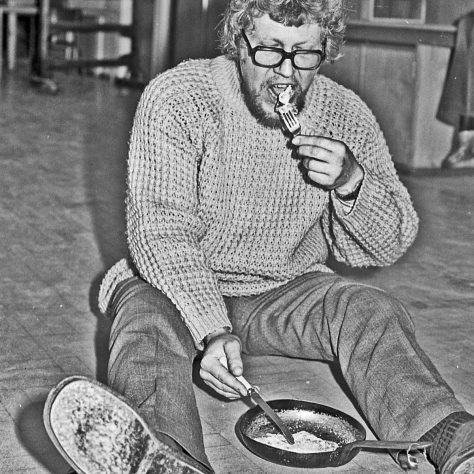 After the race, it's to good to waste. 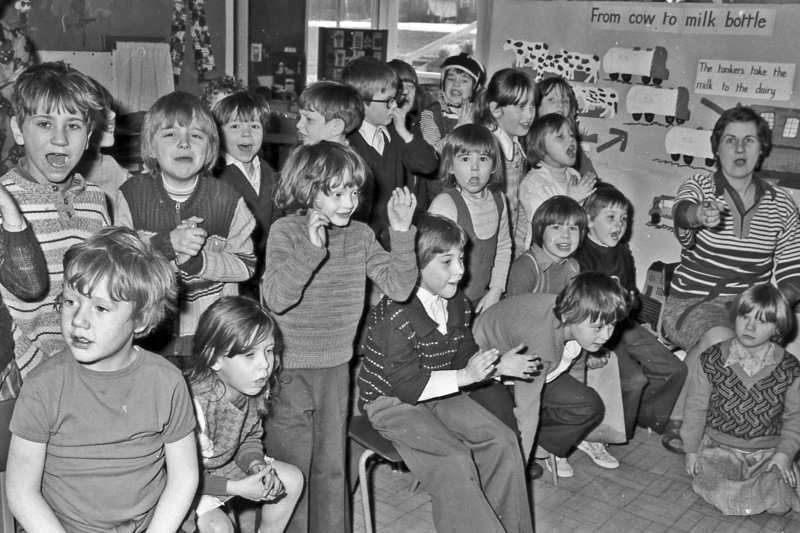 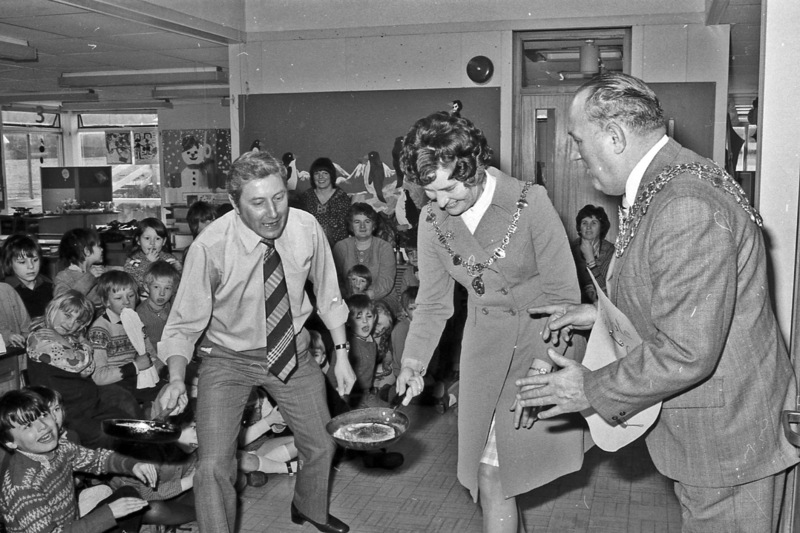 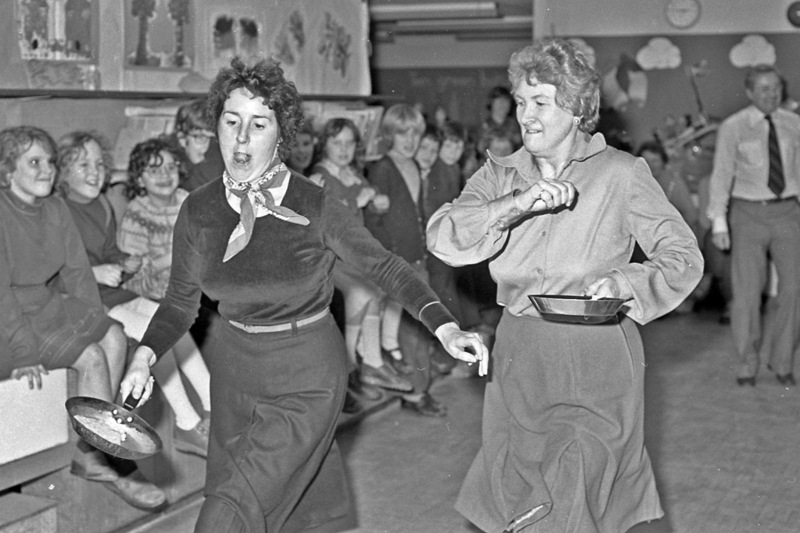 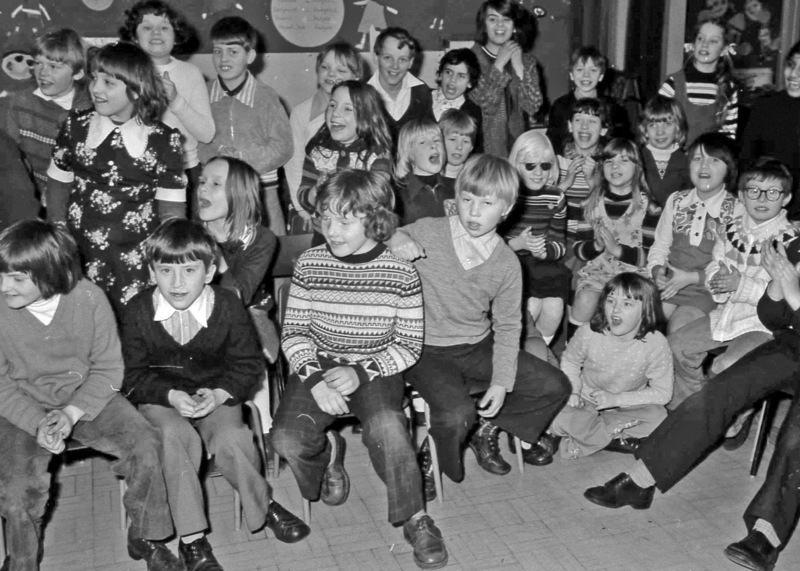 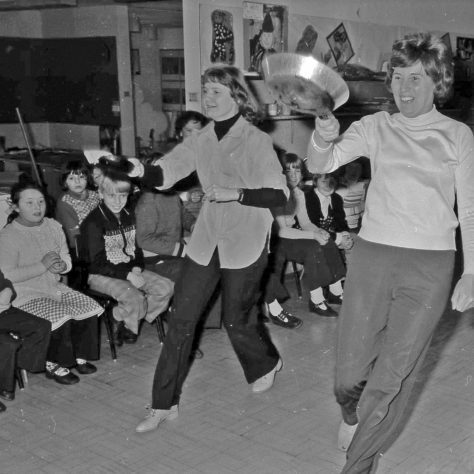 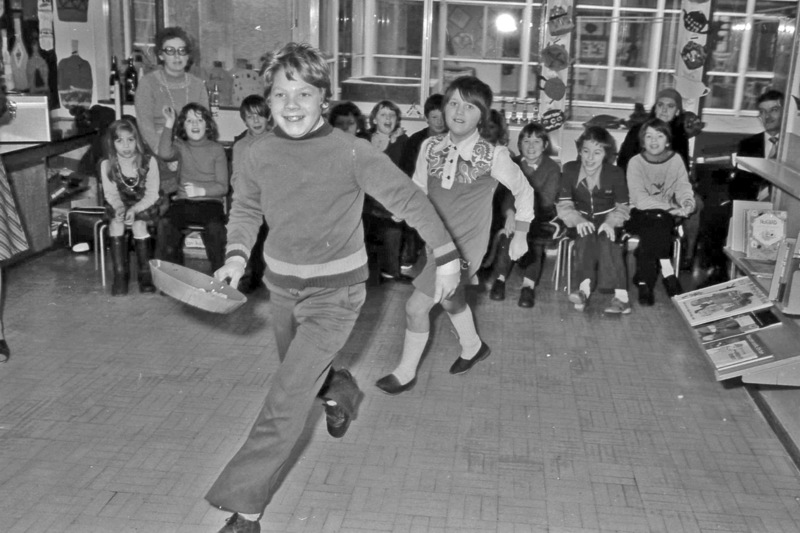 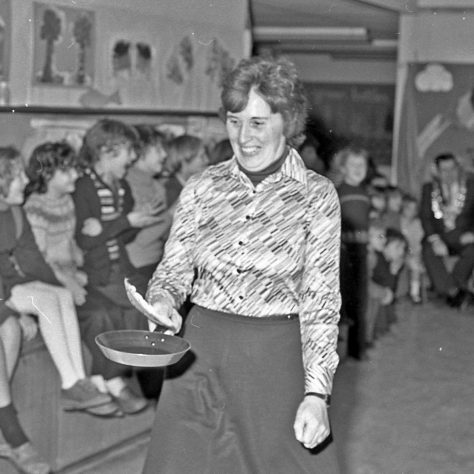 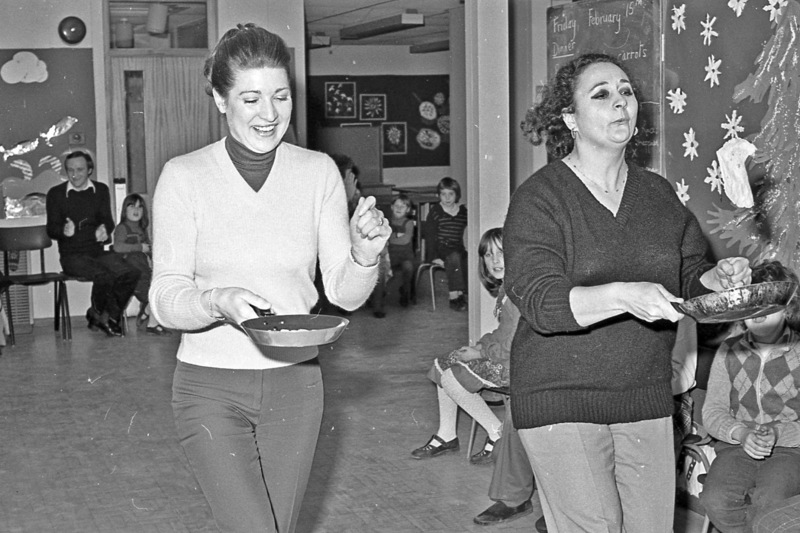 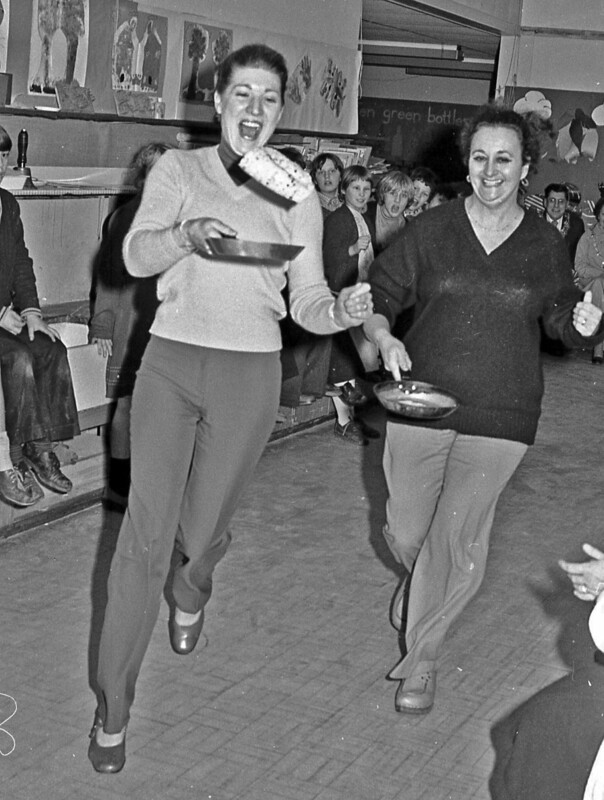 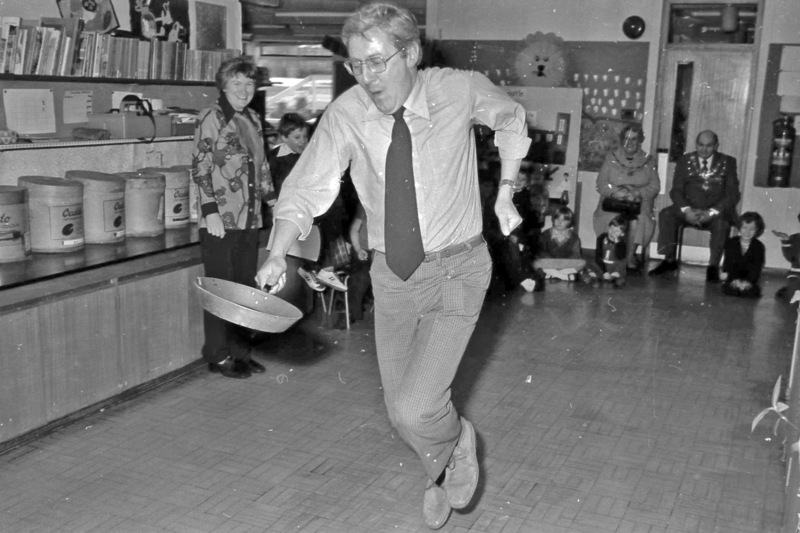 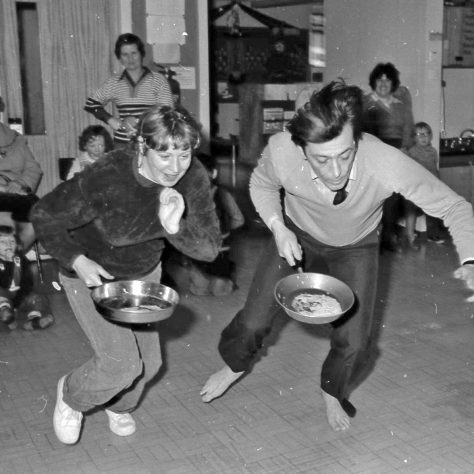 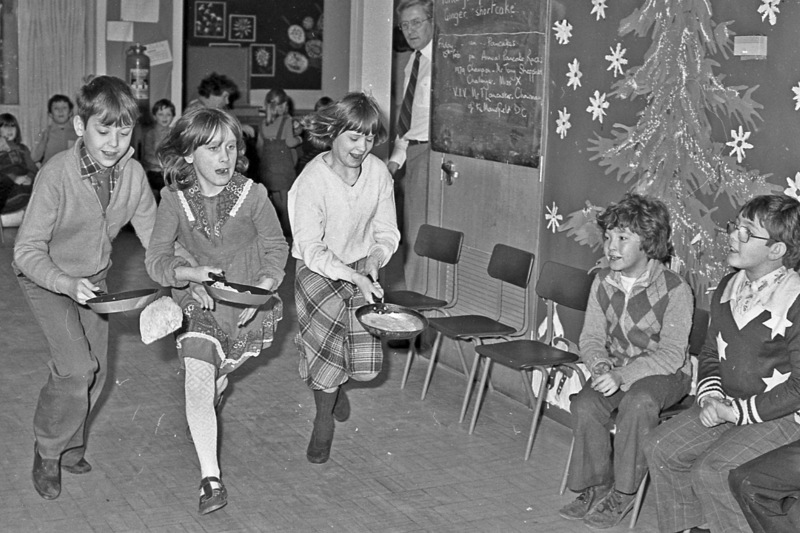 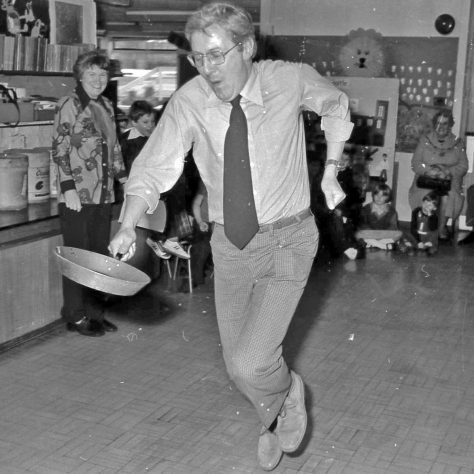 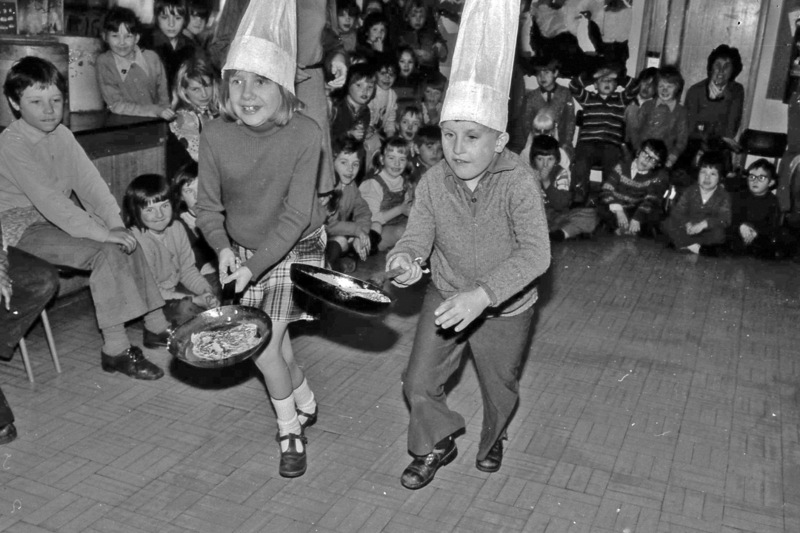 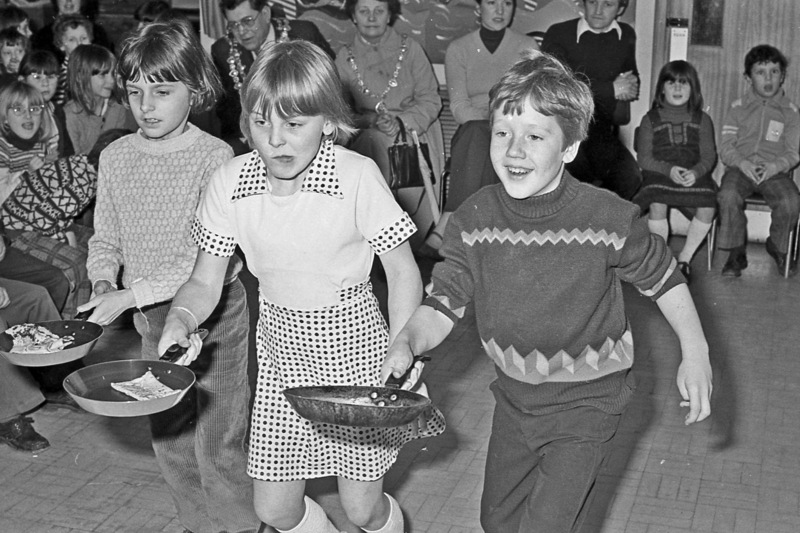 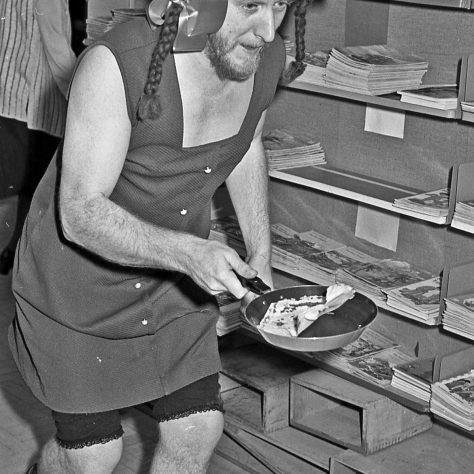 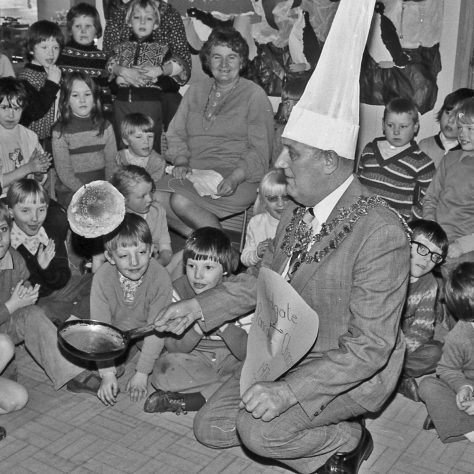 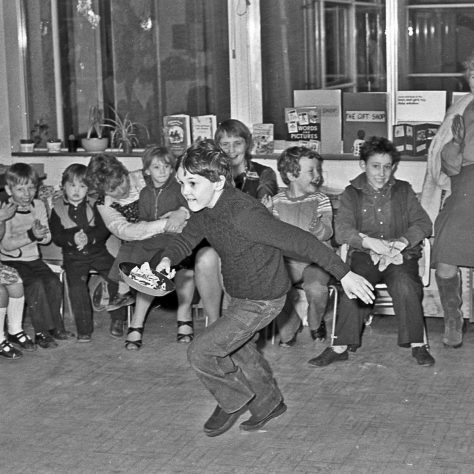 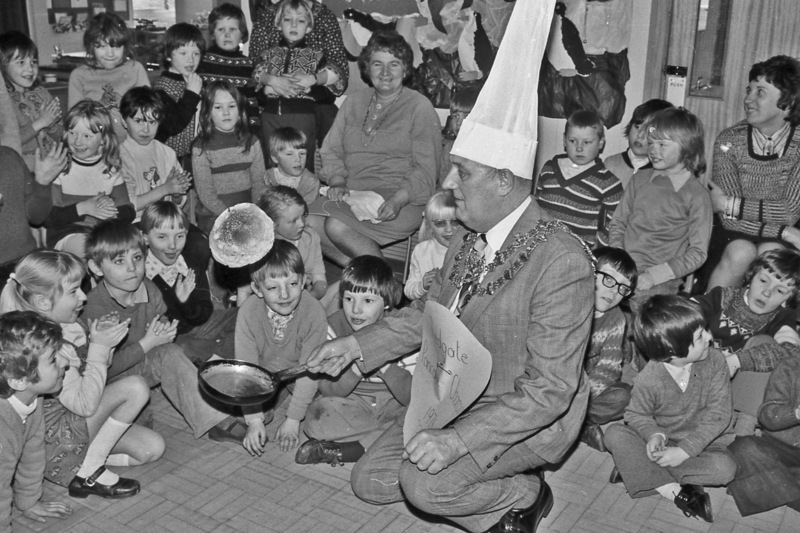 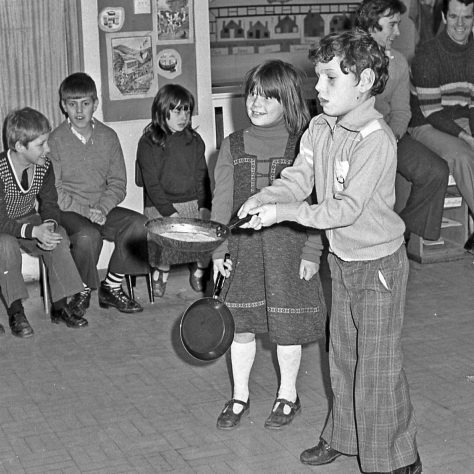 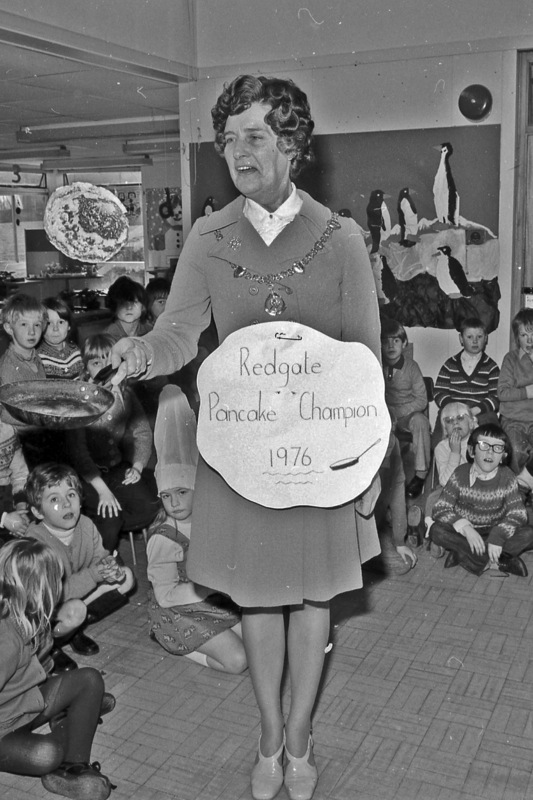 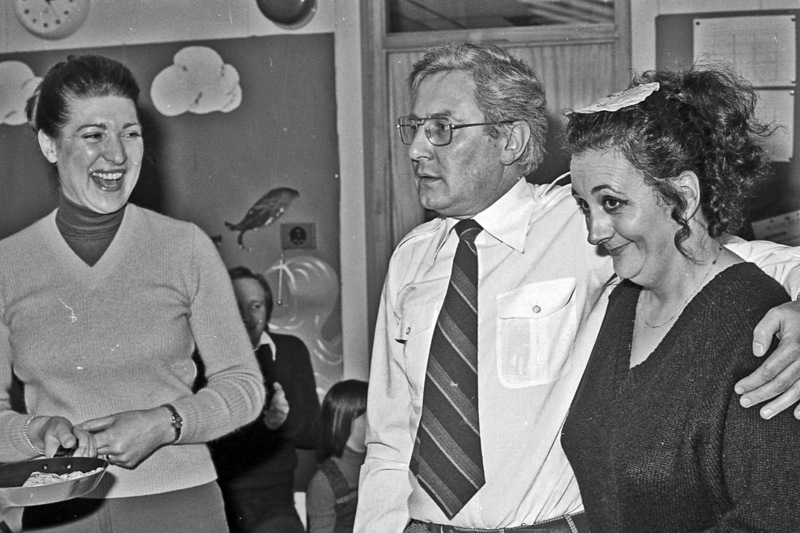 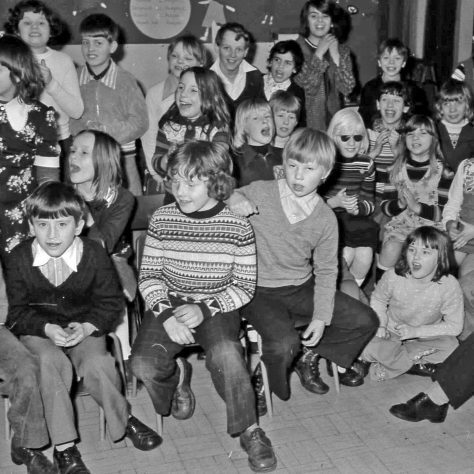 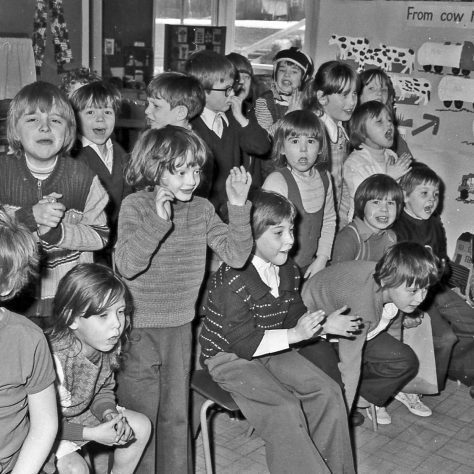 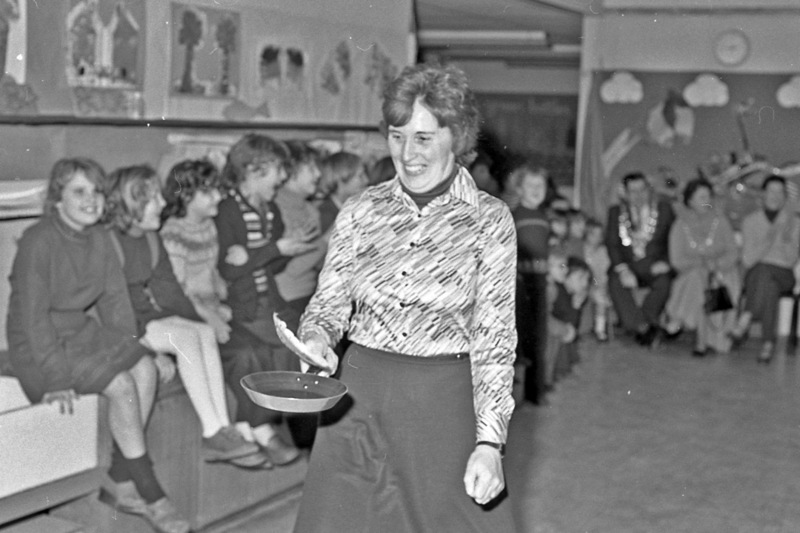 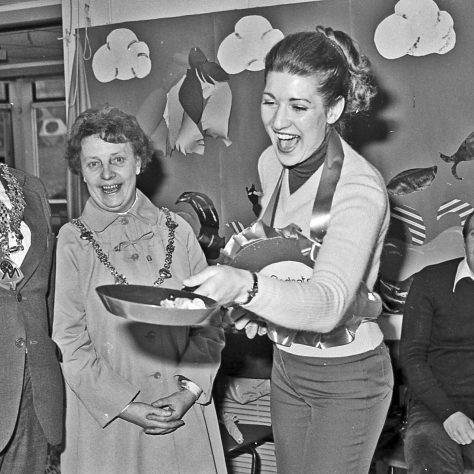 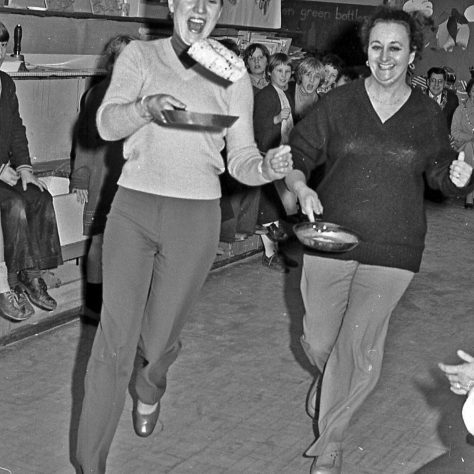 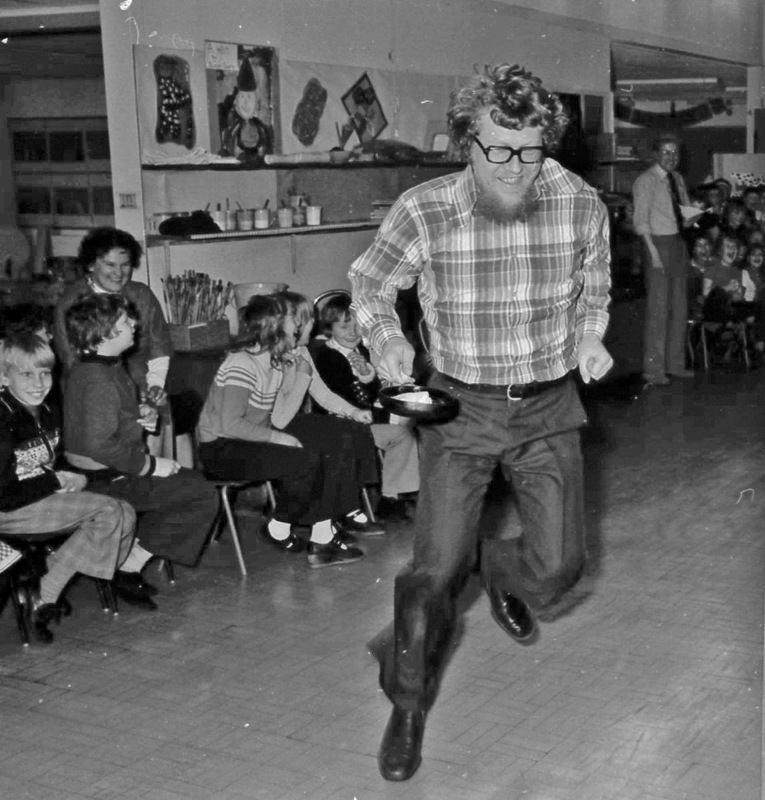 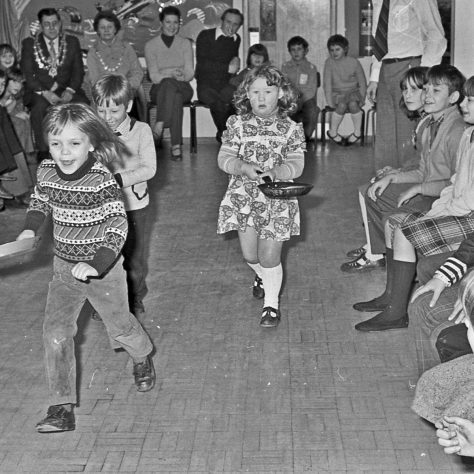 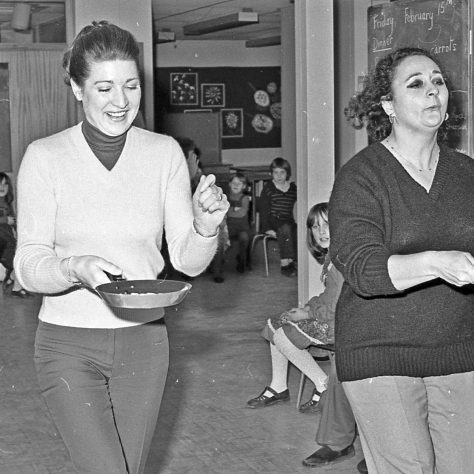 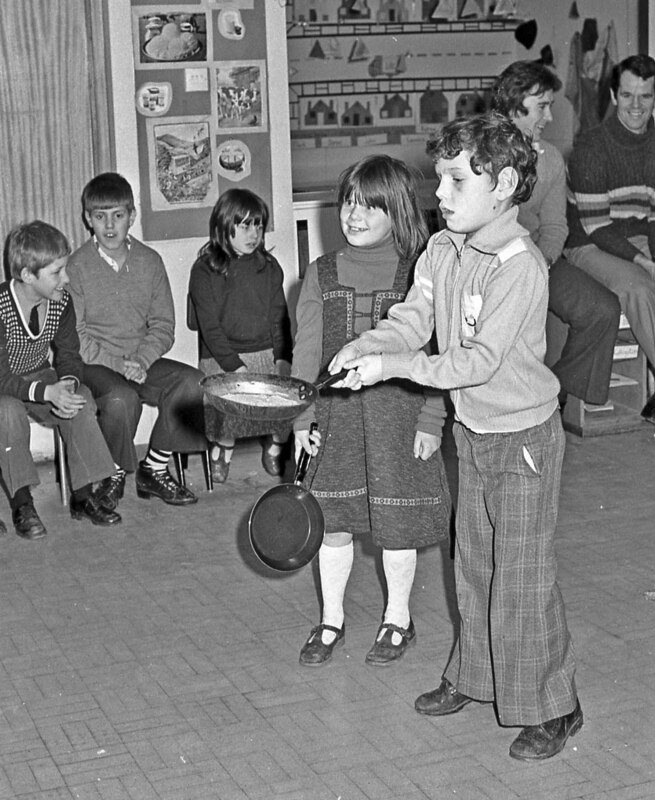 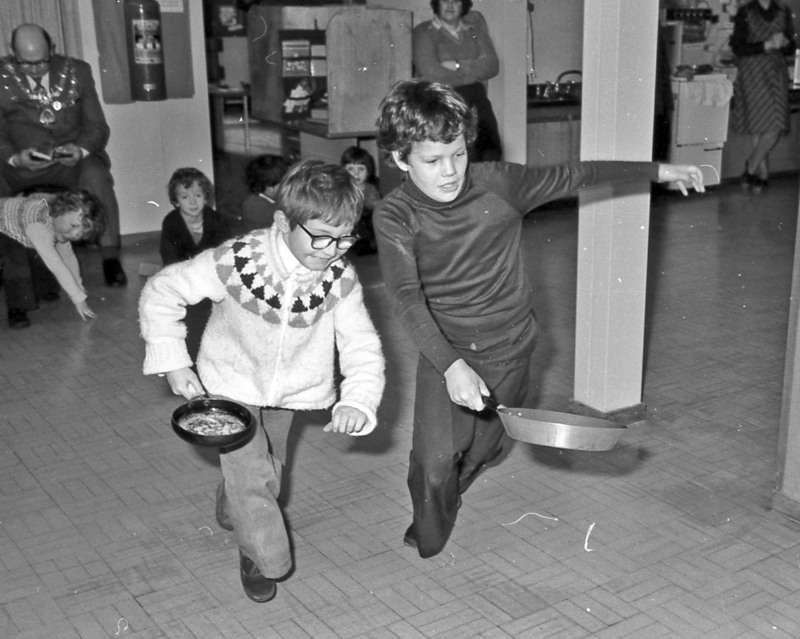 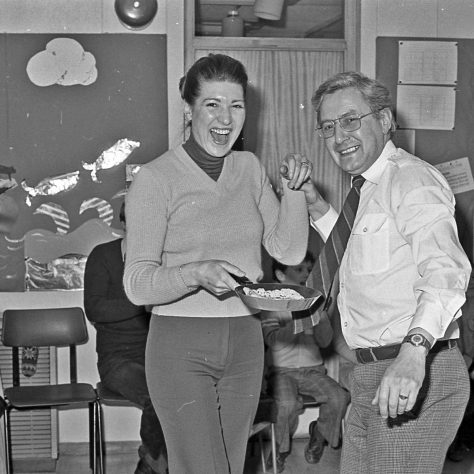 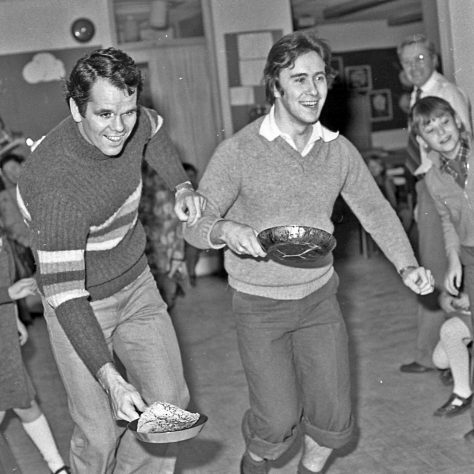 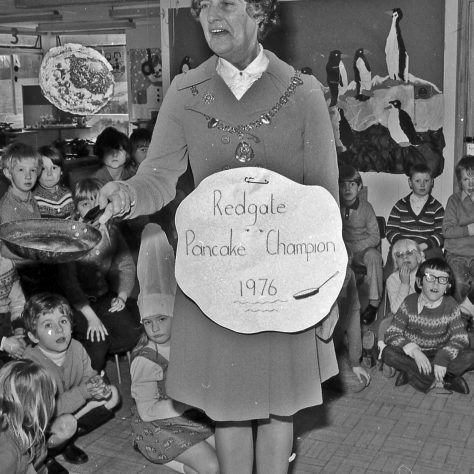 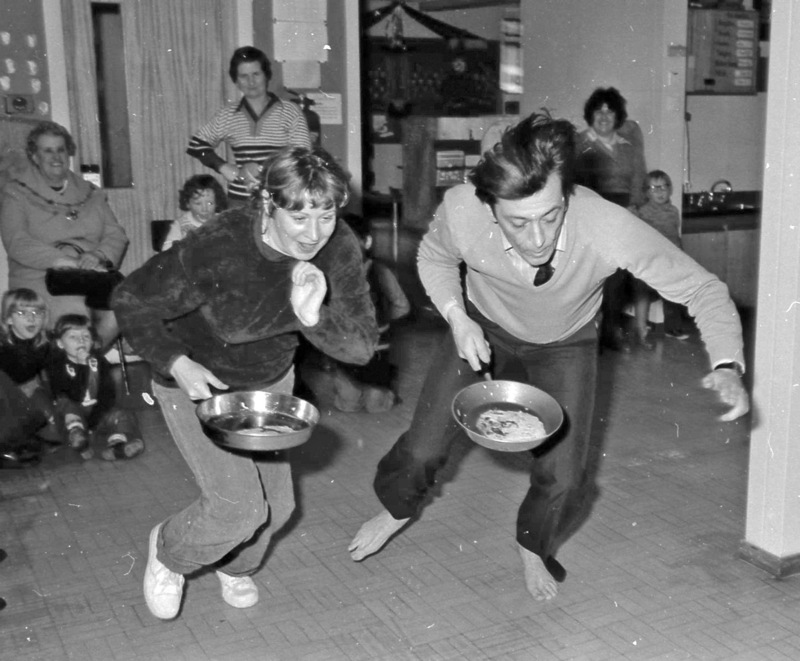 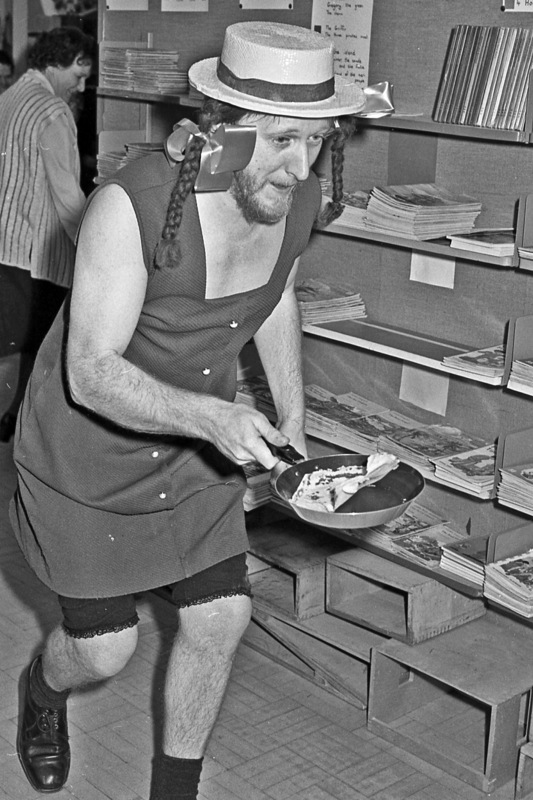 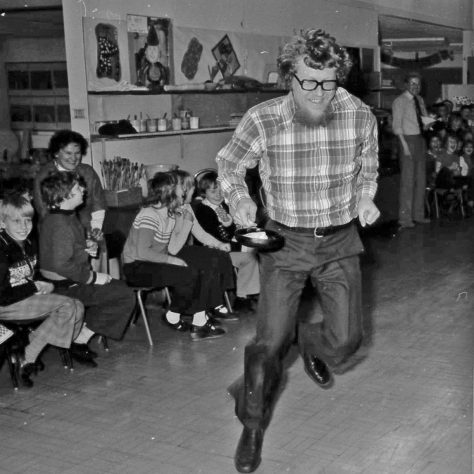 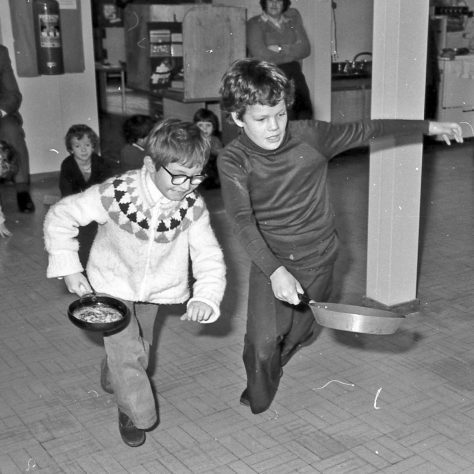 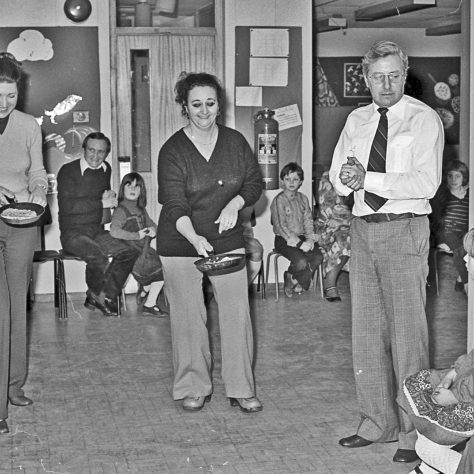 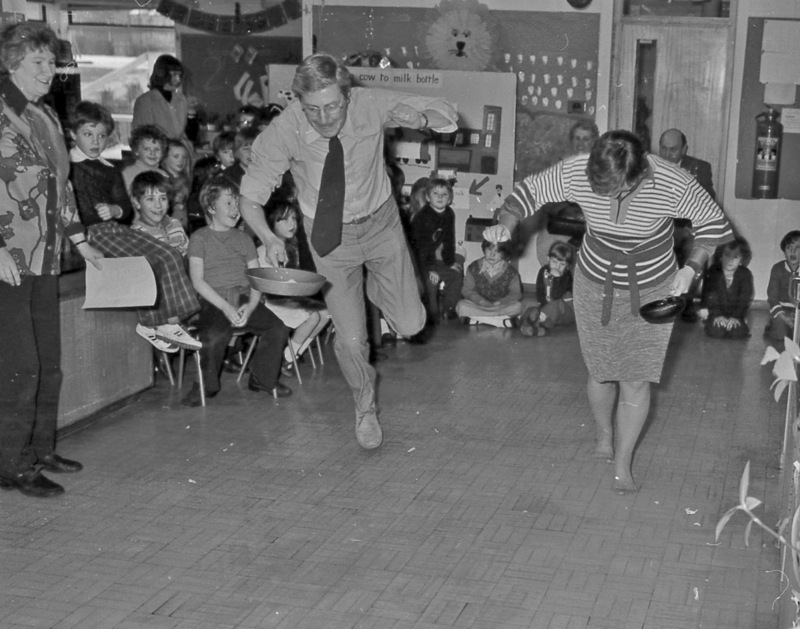 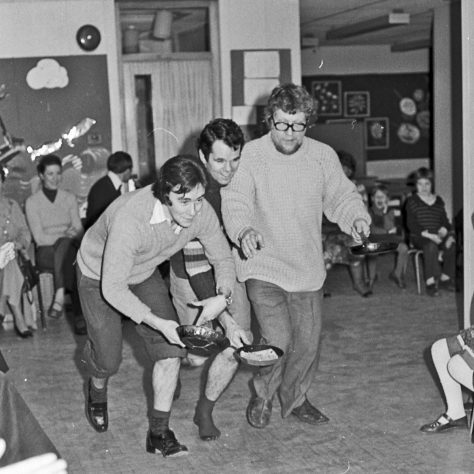 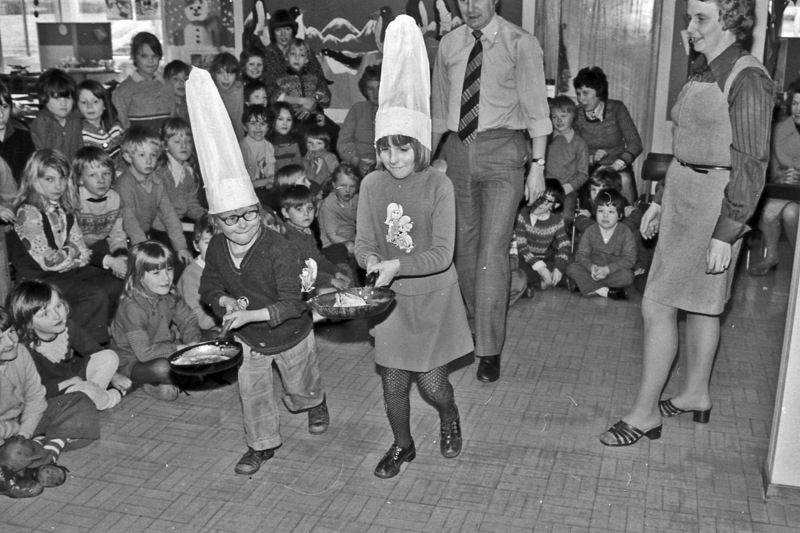 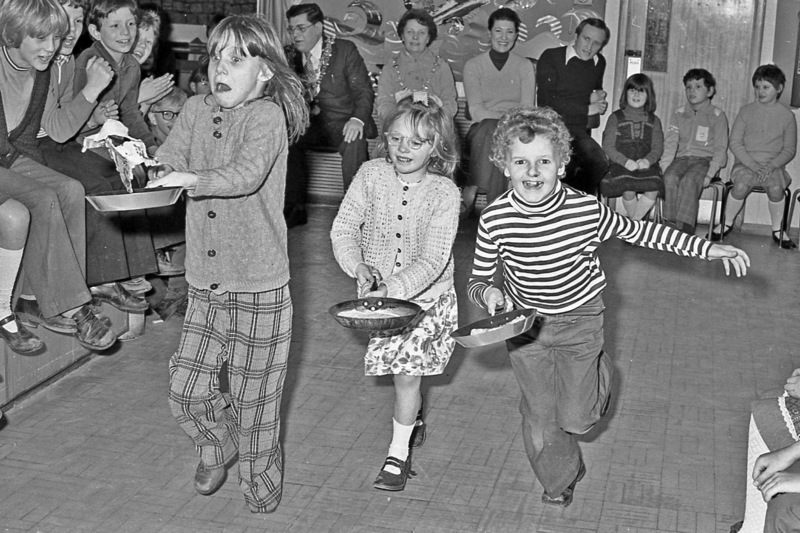 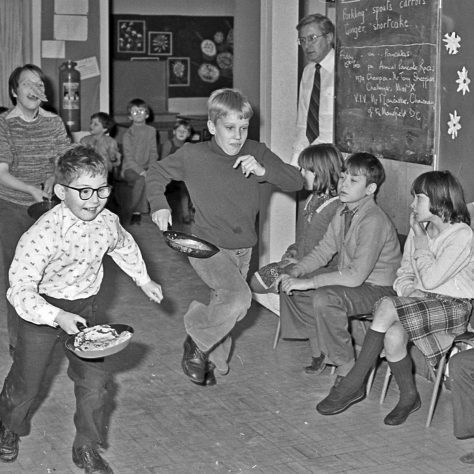 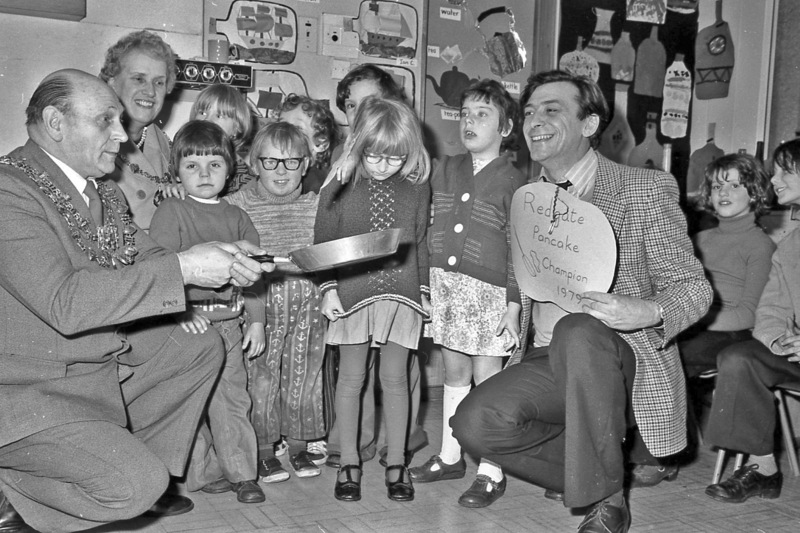 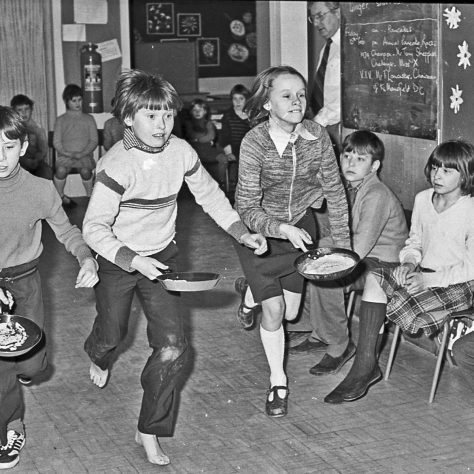 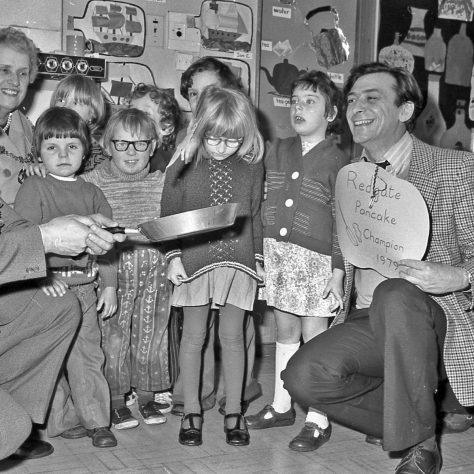 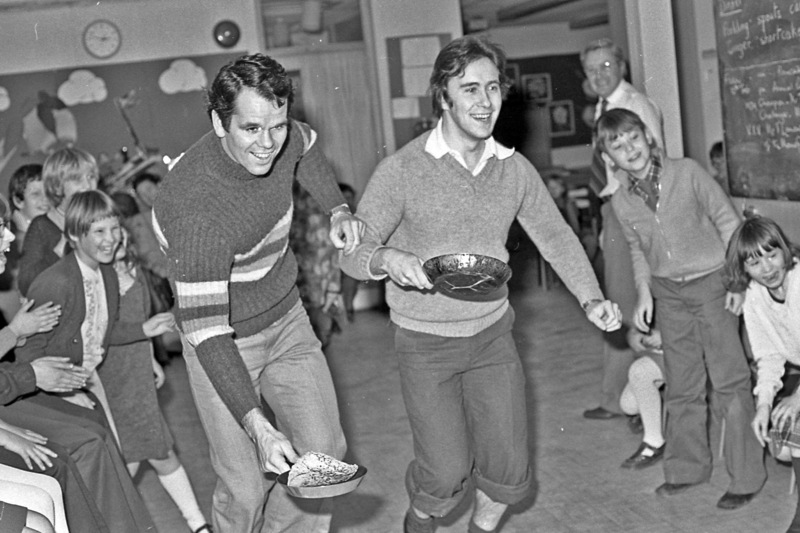 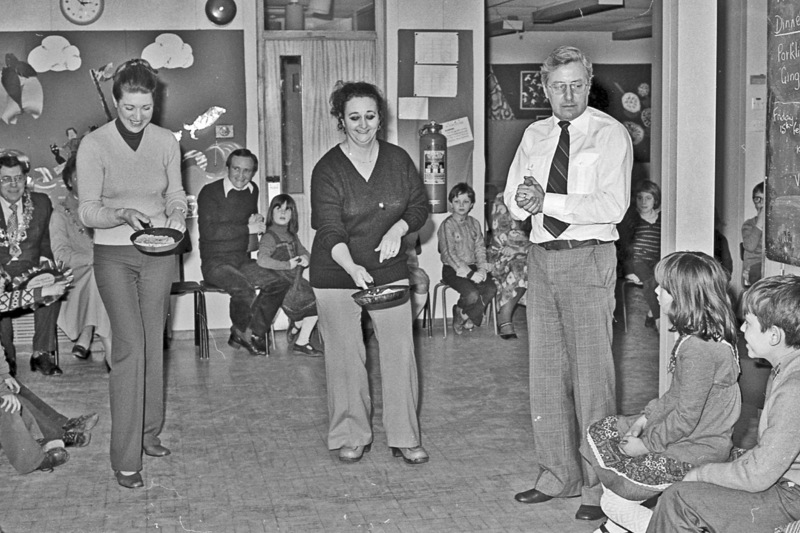 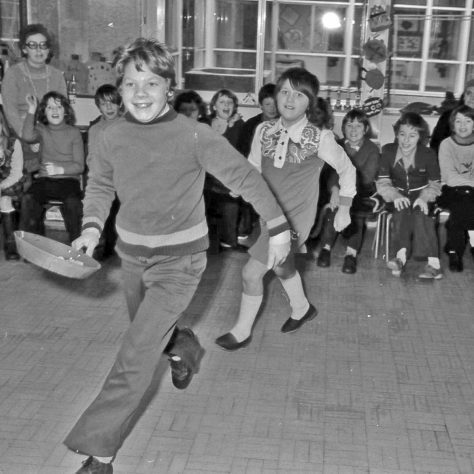 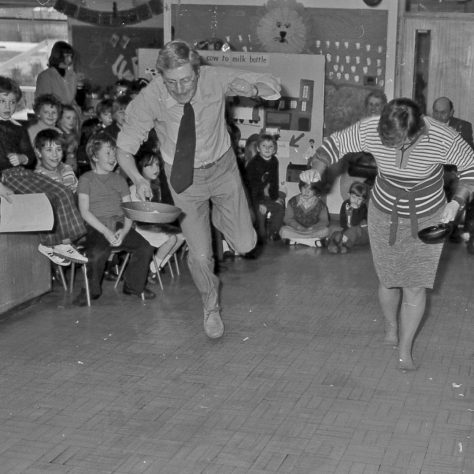 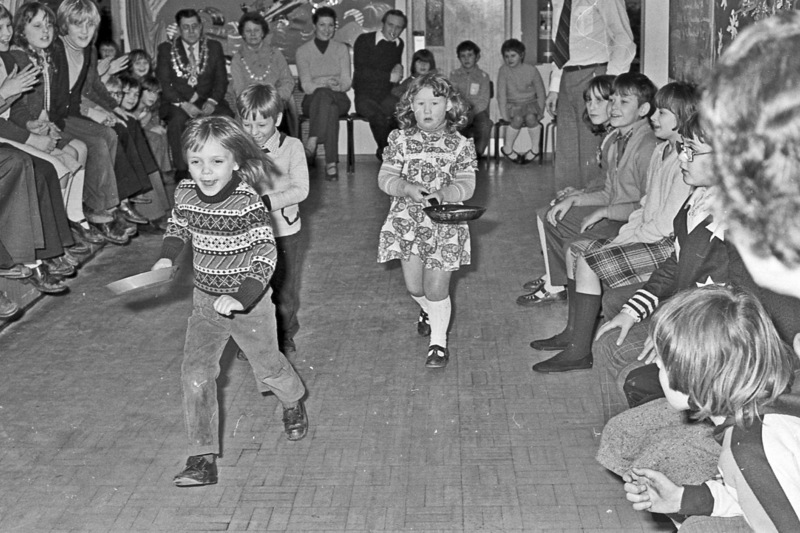 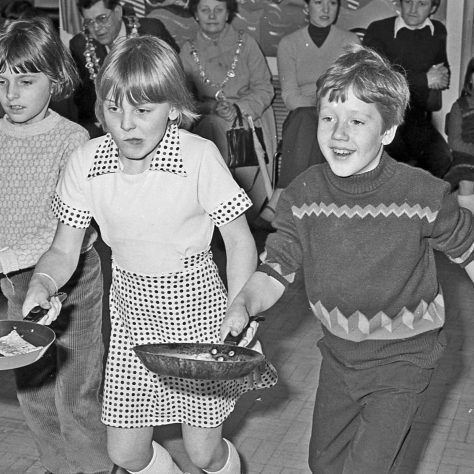 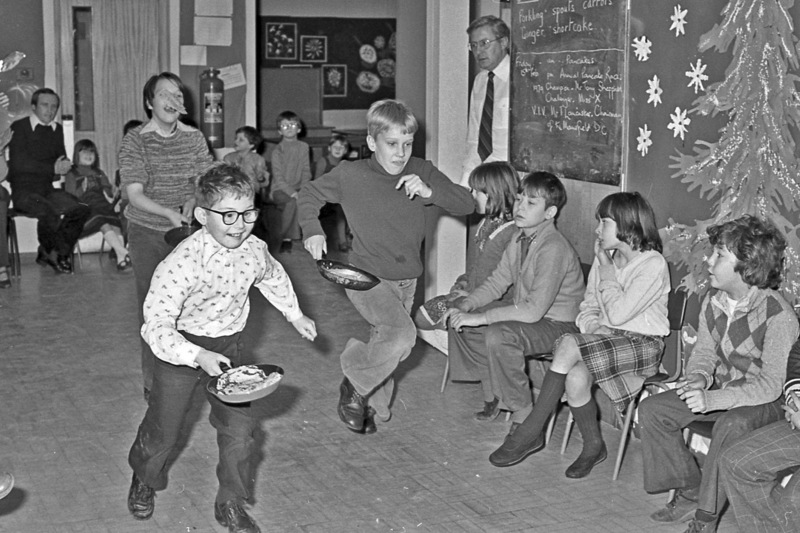 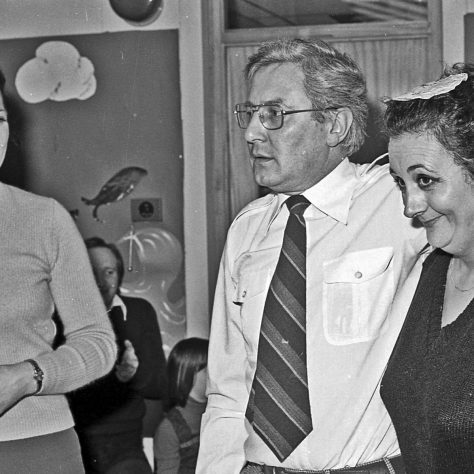 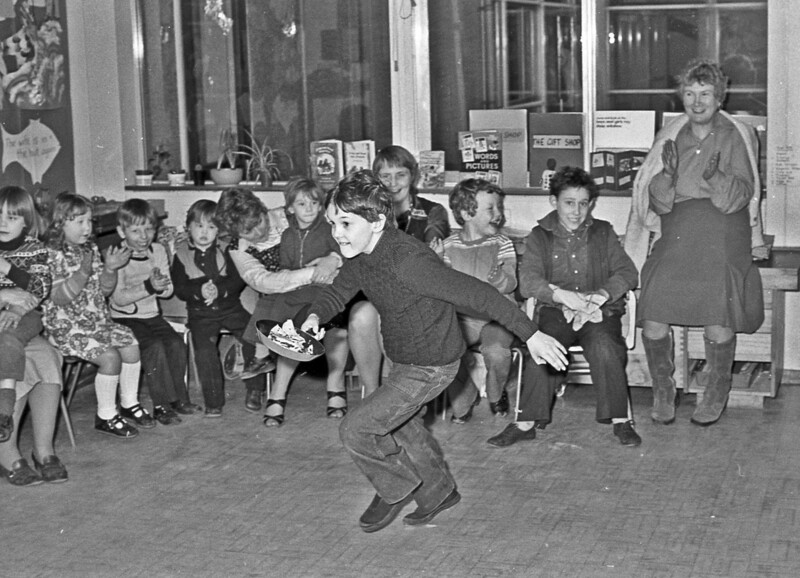 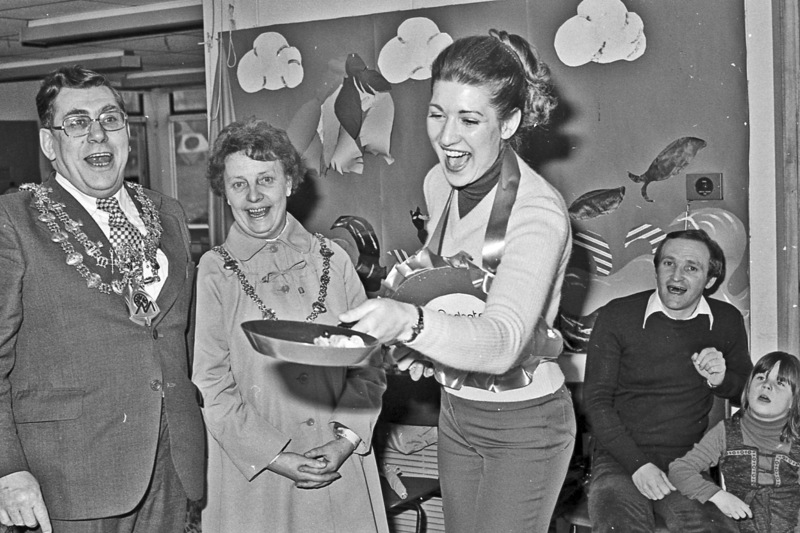 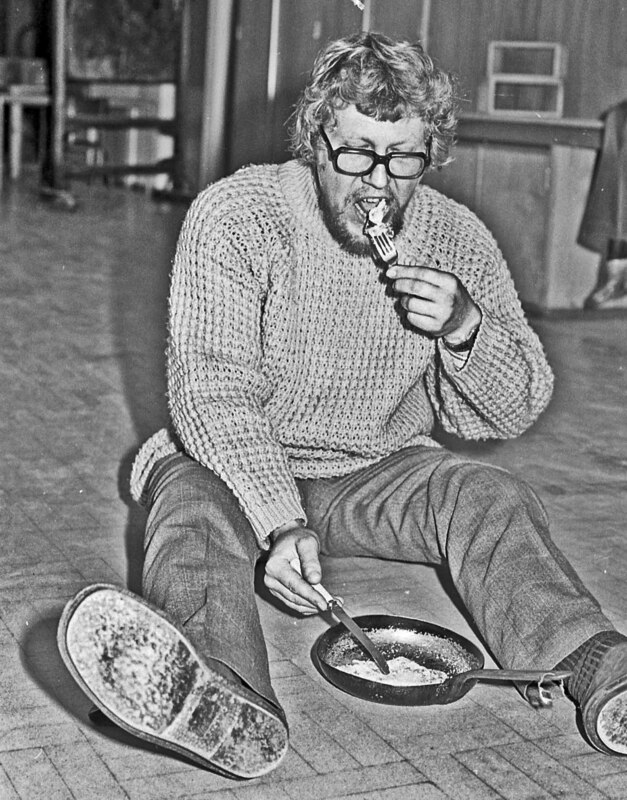 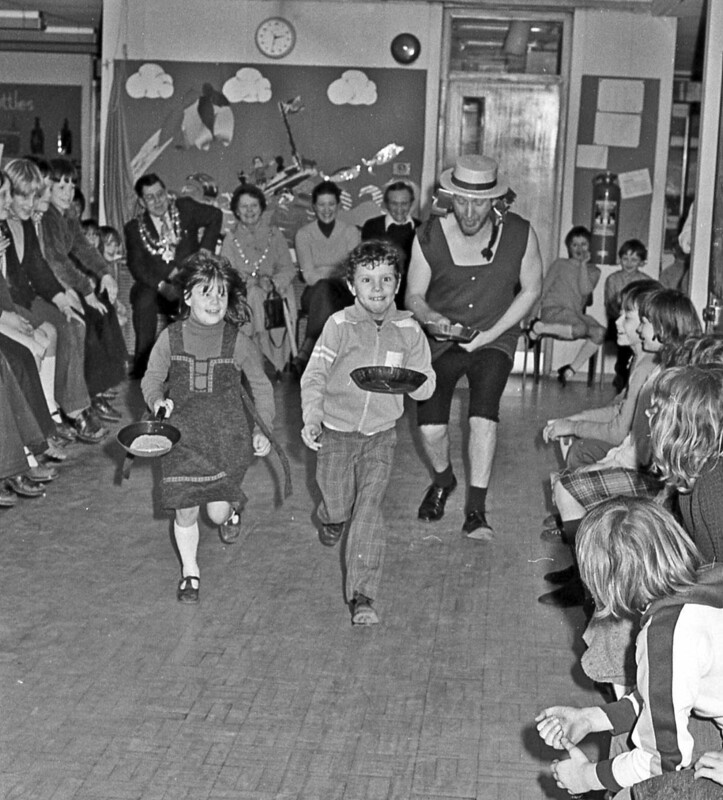 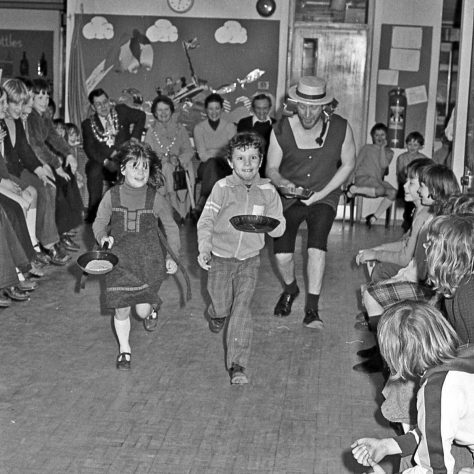 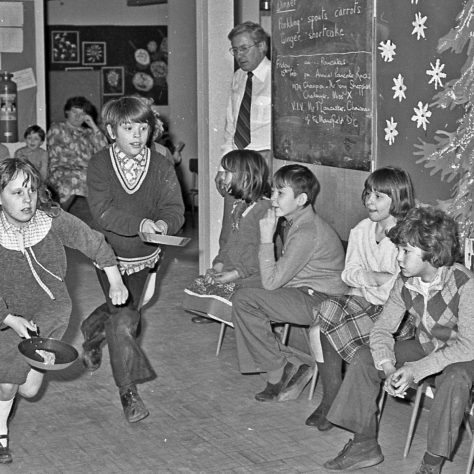 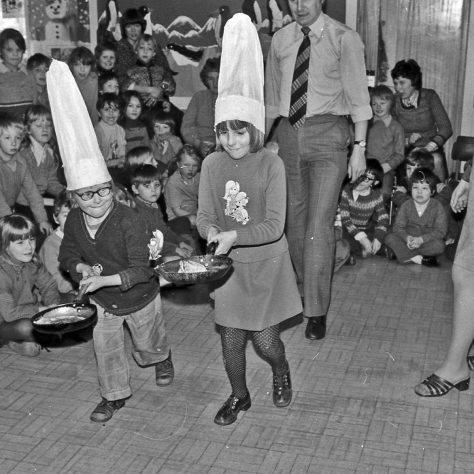 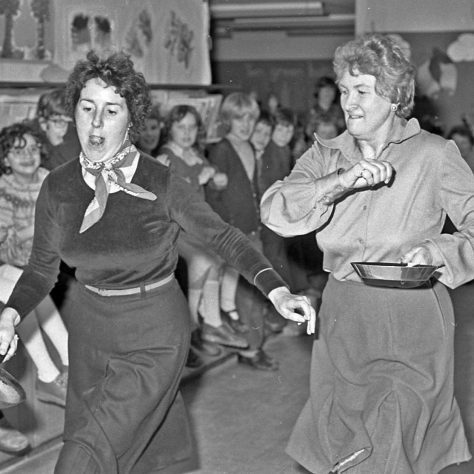 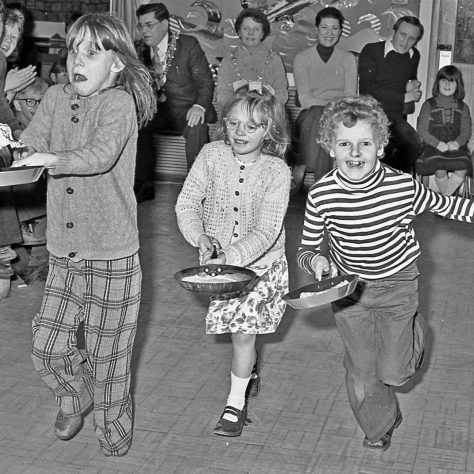 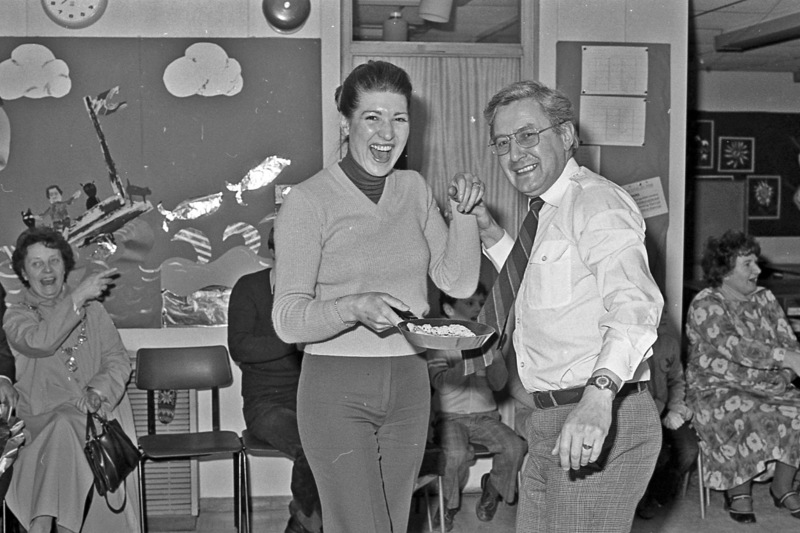 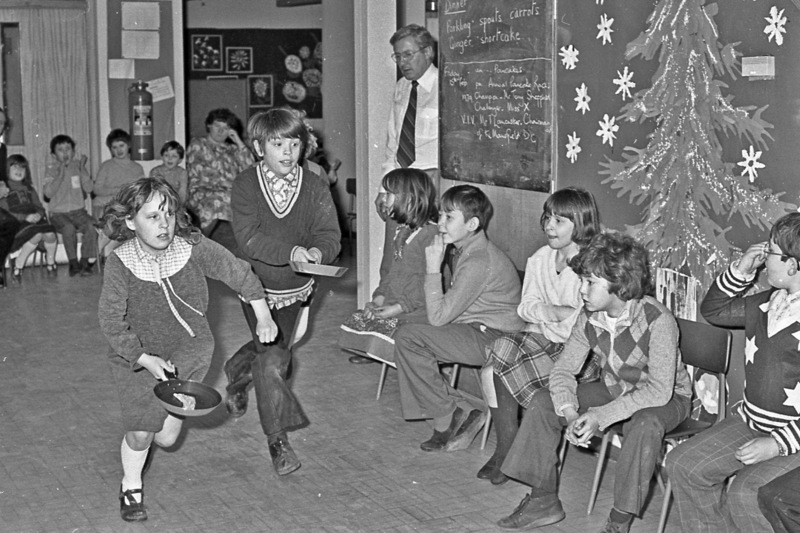 It would seem that the pancake race at the school was an annual event over the years 1976 – 1981, and maybe other years that we do not have photographs of. 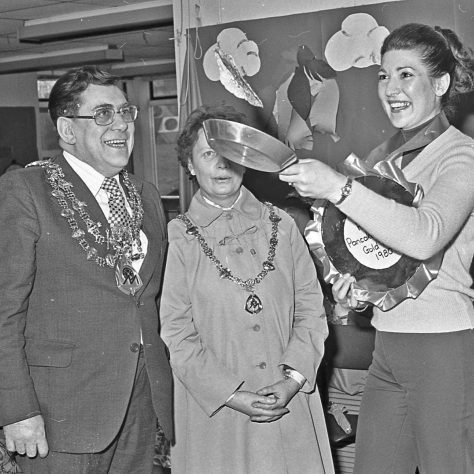 This year (and others) the Mayor and Mayoress supported and participated in the event. 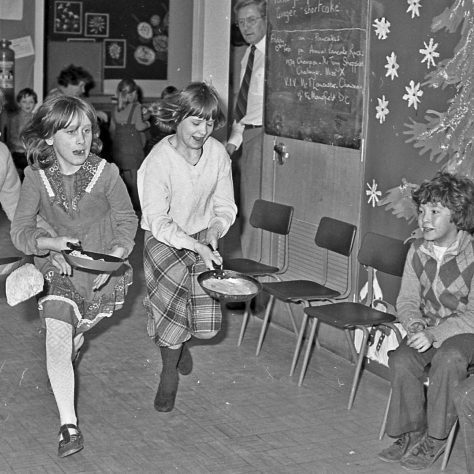 It was obviously enjoy by those who took part, or just watched the fun. 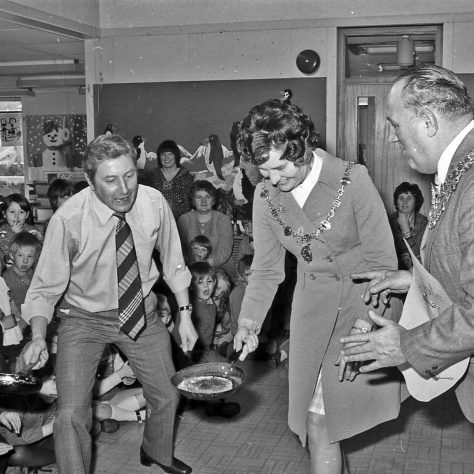 As in other years the Mayor supported the School Pancake Race with both children and adults competing and contributing to the enjoyment of all. 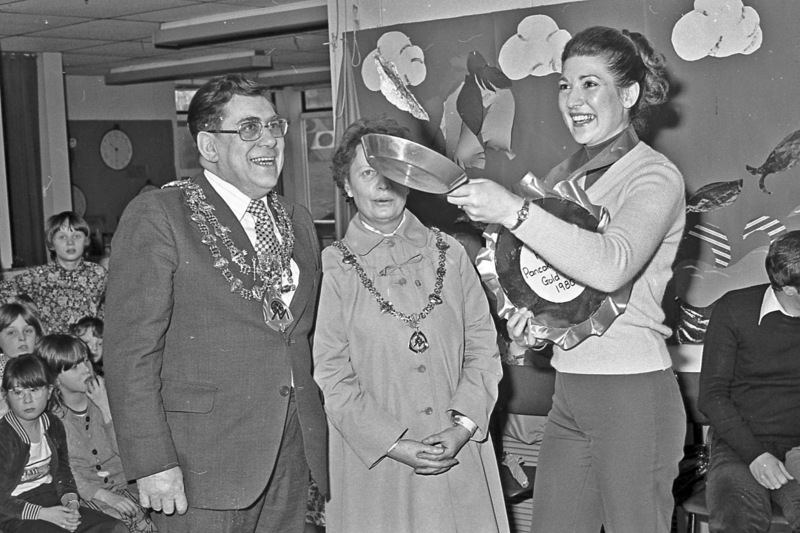 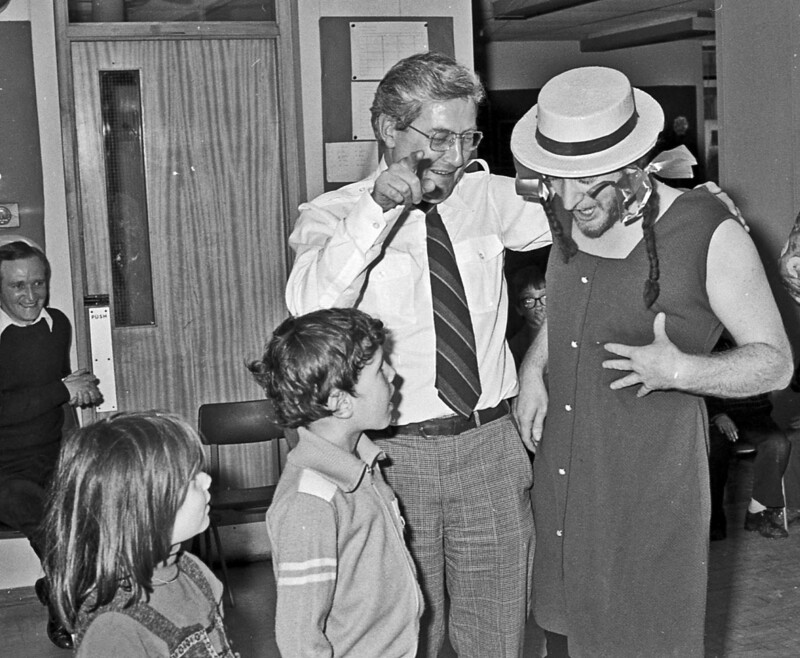 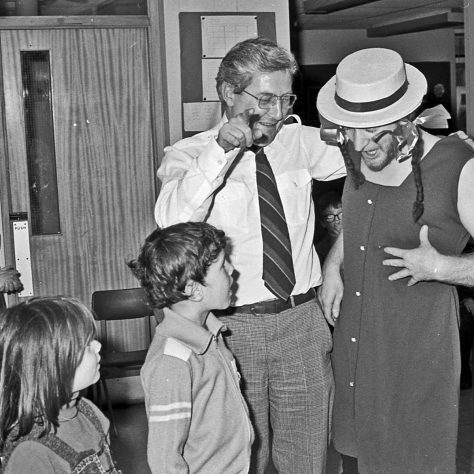 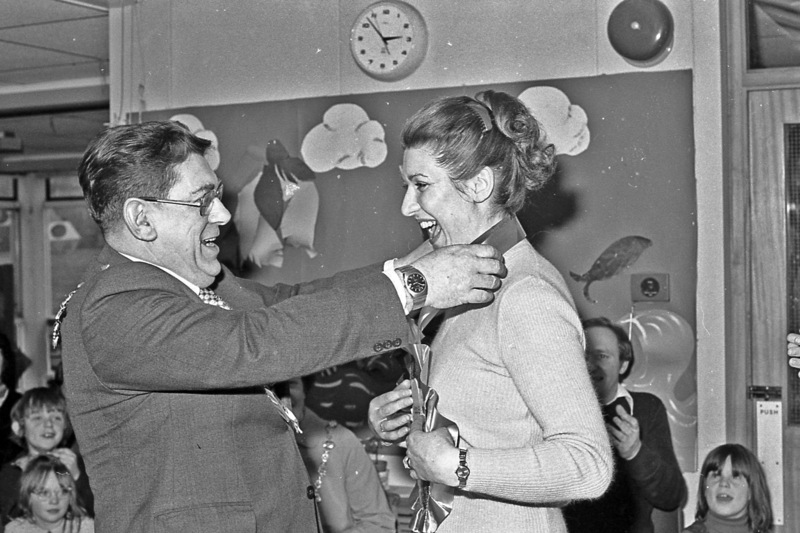 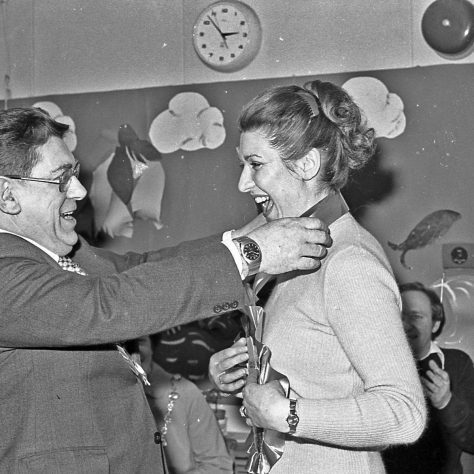 There is a much larger collection of photographs for 1980 which gives more insight into the atmosphere and fun at these events. 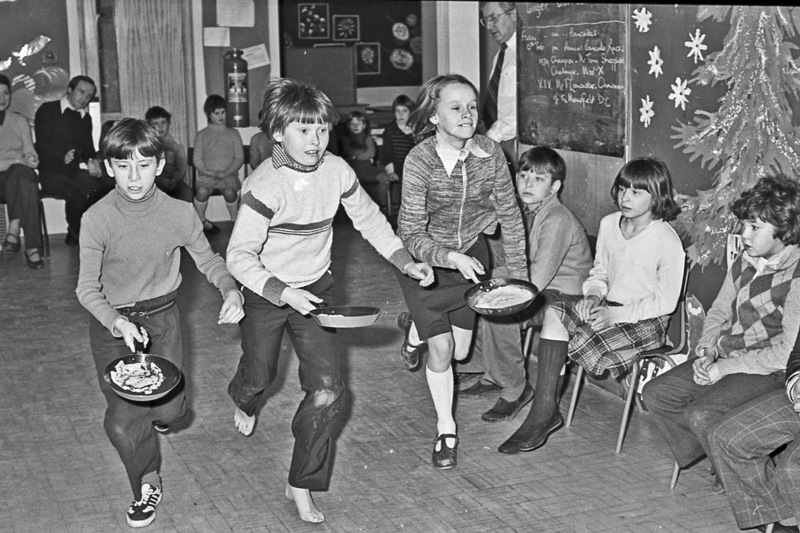 First toss the pancake then start the race.